Are you tired of going out to fish and not catching anything? Do you wish you could head out on the lake to fish and know exactly where all of the fish are hiding? If you answered yes to either of those questions, then I have some great news for you! 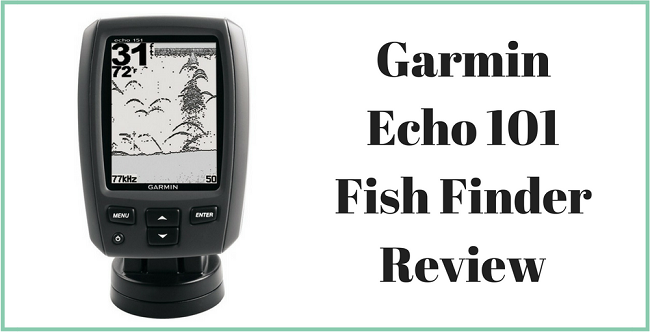 With this ﻿Garmin Echo, you’re going to have a much easier time when you go out fishing because this device uses sonar technology to find all of the fish that are in the water and it will also tell you how deep the water is at a particular place. 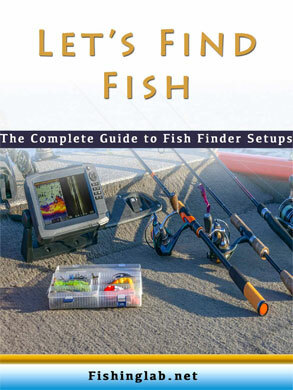 Gone are the days of guessing where the fish are in the water because this will do all of the hard work for you! If you aren’t already sold, once we dive into the features of the Garmin Echo 101 and talk about all of the great features it has to offer, you’ll easily see why you want to buy this product. Regarding the display of this unit, you’re going to enjoy a four-inch screen with a 160 x 256 resolution in full eight-level grayscale. While grayscale might not seem like an ideal feature to have on a new technology, the screen display, and gray scale is going to help make sure you can easily separate the difference between the target you want and the other stuff you don’t want. Additionally, it will work to create a crisp fish arc definitely so you can easily see what is going on below the surface. As you’ll see discussed in more detail below, the mount is incredibly easy to install onto your boat which means that you will have no problem getting the results you want. When it comes to the mount, you will be able to move it all sorts of ways to make sure it displays how you want it to. The included mount can be quickly and easily removed if necessary, and it also tilts and swivels. This means that you can get the perfect angle you want when on the boat so you can easily see the screen and display. You can find a lot of different brands when it comes to just about every product you’re going to find. Because of this, most people feel better buying a product with a solid name brand behind it because they know it will last. 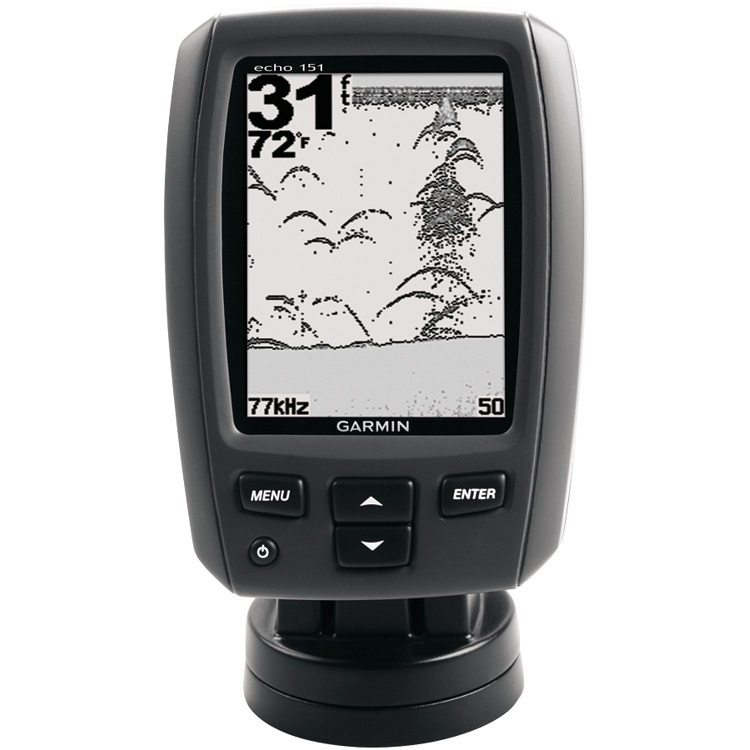 This particular product is manufactured by Garmin, which is one of the leading brand names when it comes to GPS and sonar for commercial use. By buying this product, you fully understand that you’re buying from a highly trusted brand. This means that if any issues happen to arise, you’ll have no problem getting the help you need. While there are some products like this that you buy that are crazy difficult to install on your boat, you won’t have to worry about that with this one. This uses a trolling motor mount kit so that you can quickly and easily install it on your boat with little to no effort. Additionally, since you are only installing the mount onto the boat, you can easily remove the unit from the boat whenever you think it is necessary because it just snaps into the mount, which means it can easily be snapped out as well. Easy installation with the trolling motor mounts kit. Is the mount for this transducer plastic or metal? The mount for this unit is plastic, but it should hold up under most conditions you find you need it in. Does this unit contain GPS inside for navigation purposes? The unit does not come with GPS of any sort. It uses sonar to determine depth. Can the depth measurement unit be set to either meters or feet? Or is it only listed in one or the other? Yes! You’ll have no problem choosing the measurement you want to see when the depth is displayed. Both feet and meters are an option! Is this product designed to be waterproof? It is not a fully waterproof design, but it can withstand accidental contact with the water in case of any accidents that might happen. Can this product be easily removed from the boat, so I don’t have to keep it on? Yes! The product can simply be unclipped from the mount and removed from the boat whenever you are done. To make sure that you are getting the most out of the Echo 101, it’s important that you follow all of the instructions properly. As with just about anything, if you use the product in a different way than it is intended, you may find that it doesn’t do the job it is supposed to do. With this, you should understand that this product is merely an aid to fishing. Despite it telling you that fish are there, you may still need your skills to catch the fish. This product is best used when you use it to tell the depth of the water and if there are fish in the area. Once you figure that out, you can remain in the area you find best and then continue to stay there and fish from your boat. When you decide to move, use this product again to find the proper water depth and fish population to begin fishing again. Nobody wants to go fishing without catching anything. While people might go fishing because it is enjoyable for them to do so, it is always going to be disappointing to come home empty handed. If you hate that problem and wish you could come home with plenty of fish every time, then you need to consider purchasing the Garmin Echo 101 strongly. Not only is it going to help tell you where the fish are, but it can also show you the depth of the water you are on so that you can use that information to help you as well. If you want to improve on the number of fish you bring home, then this is going to be a product you want to own.